Last week, I was priviledged enough to be part of the launch of GUINNESS' St Patrick's celebrations at Havana, Changkat Bukit Bintang. 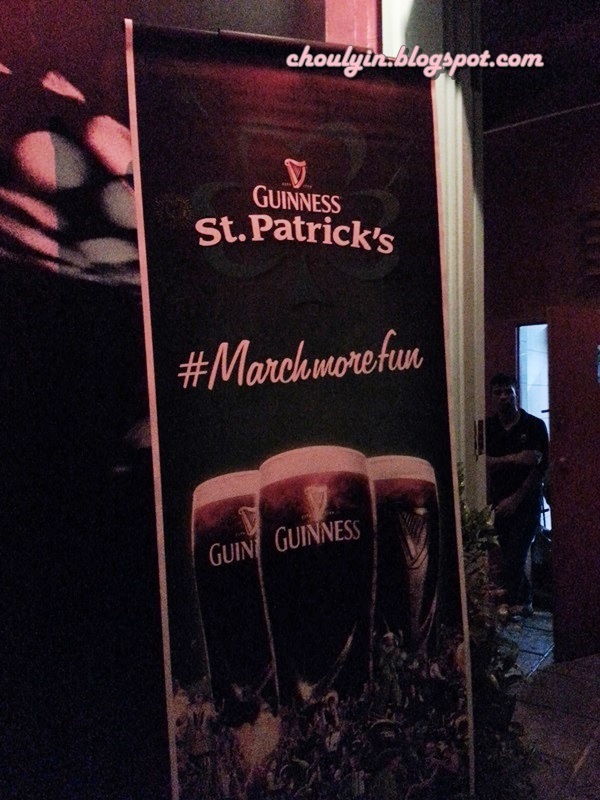 True enough, as we roll into another year in March, the celebration of all things green is back for the 7th year and this year’s GUINNESS St Patrick’s celebrations promises to be ‘March more Fun’! It will be a month-long celebration filled with fun, laughter and friends with the official launch of GUINNESS® St Patrick’s celebration!!! And what's so awesome about this year's celebration, is the country's biggest GUINNESS St Patrick’s Pub Crawl! See the big bus behind the revelers? That's the large bus that will bring revelers around town with the black brew on a trip of a lifetime!!!! Not only that, 200 odd lucky fans and friends of GUINNESS will be able to be part of the largest GUINNESS pub crawl in Malaysia. These selected participants will receive a special St Patrick’s kit consisting of 2 free pints of GUINNESS® and an exclusive GUINNESS® St. Patrick’s Pub crawl T-Shirt. They will also qualify to be part of the St. Paddy’s Hunt. 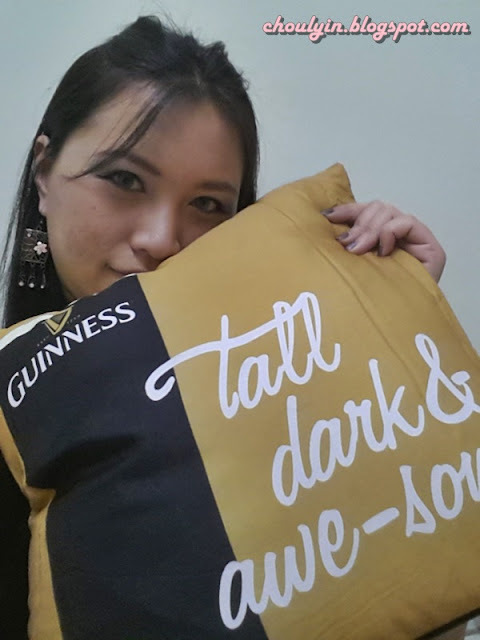 These plush pillows are up for the taking from GUINNESS if you are interested :D Read on to find out how!!! Also, if you like having your pint of GUINNESS to unwind after a long day at work, there will be about 1,000 outlets nationwide that will have special promotions on your favourite black brew! 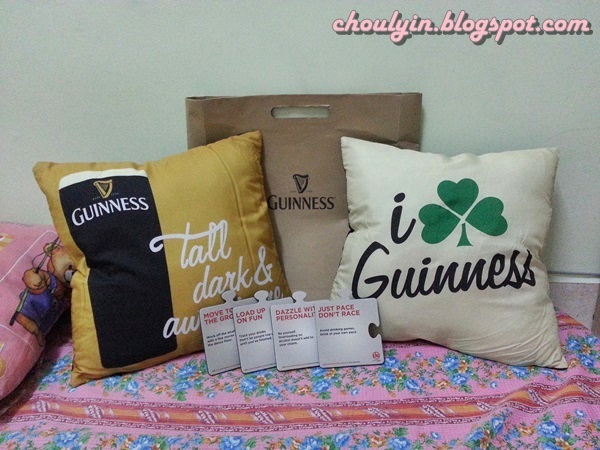 With every purchase of 6 half pint or 4 full pint of GUINNESS® Draught, or a bucket of GUINNESS® stout, entitles consumers to a limited edition GUINNESS® St. Patrick’s plush pillow. 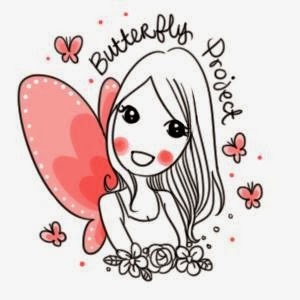 There are 4 fun designs up for grabs with each design revealed weekly. On top of that, come join us on for some St Patrick’s fun on Thursday and get our Thursday Specials! Guinness will be giving away 1 free pint of Guinness with every purchase of the Guinness St Patrick’s promotion in participating outlets throughout March! Are you ready for your pint of Tall, Dark, and Awesome?